Dr Simon Willcock, a Research Fellow studying Ecosystem Services within the Centre for Biological Sciences, is visiting the House of Commons this week. Dr Willcock is participating in a unique scheme run by the Royal Society that will pair him with Professor Tim Wheeler, Deputy Chief Scientific Adviser to the government Department for International Development. The Royal Society’s pairing scheme started in 2001 and aims to build bridges between parliamentarians and some of the best scientists in the UK. During his week in Westminster (23-26 November), Dr Willcock is attending seminars, panel discussions and a mock Select Committee to gain behind the scenes insight into how policy is formed and how research can be used by the government to make evidence-based decisions. Professor Wheeler will then make a visit to Southampton in 2016 to gain further insight into the University’s research and potentially improve the government’s access to scientific evidence. Dr Willcock’s work focuses on the sustainable use of the resources provided by nature (termed ecosystem services), including the provision of food, fuel and clean water amongst a number of examples. 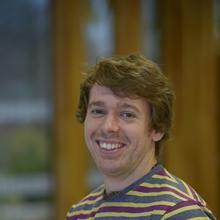 Dr Simon Willcock is a Research Fellow studying Ecosystem Services within the Centre for Biological Sciences at the University of Southampton.